Looking for an electrical wiring solution that’s both lightweight and durable? Switch to steel. 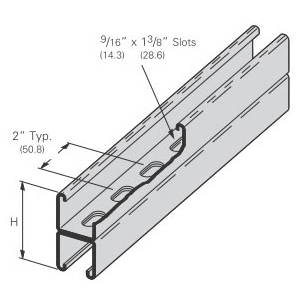 Browse our stock of steel struts, and find the ones you need to complete your next big electrical wiring project. We carry a variety of shapes and sizes, and our parts are cost-efficient and easy to install. Start browsing now, so you can get back to the work that really matters. Shop now.